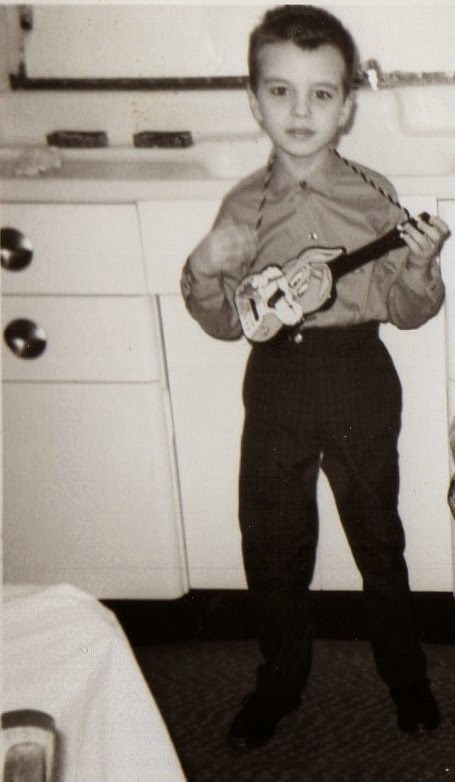 Joe inventing punk rock in 1964. Note the Terry Hall haircut. This is bound to cause me more grief than anything, but against my better judgment, here is my contact page. Feedback about the site is welcome. Well, more accurately, if I’m gonna have a contact page, I don’t see how I can avoid it. What I’m really interested in is help filling in the blanks on the lists of gigs or links or the discography. If you provide information on a gig, please include proof in the form of a link to a web page, so I can verify that the show took place. I will only post shows of which I have some proof. For the links and discography, I’m after things that will be of interest to the folks who frequented the Electric Banana. I won’t take every suggestion. I realize this criterion is nebulous. I hope it’s stating the obvious when I say that we can’t use this site to promote everybody’s band, everybody’s friend’s band, or everybody’s favorite band. Messages telling me that I’m a nerd or need to get a life will be ignored because I already know those things. The contact widget that was here had only worked sporadically since we started this site, we're tired of fooling around with it, and we have yet to find a suitable replacement. It's probably best to stop aggravating ourselves and forget the whole thing. If you wish to contact us, please email us at ElectricBananaClub at gmail dot com (so phrased to keep the spammers away). We do reply to all emails except for those that are too weird to reply to. So if you used the old contact widget and never got a reply, it either means that you're weird or your message never got through. In the latter case, please try again.